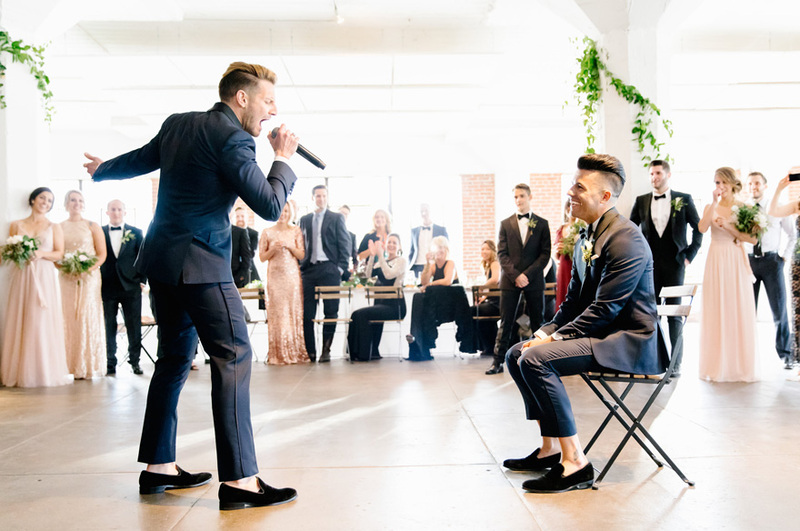 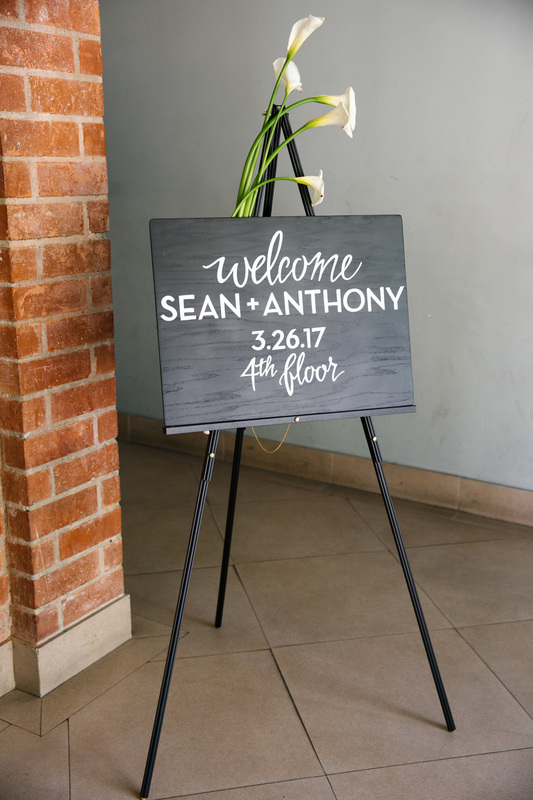 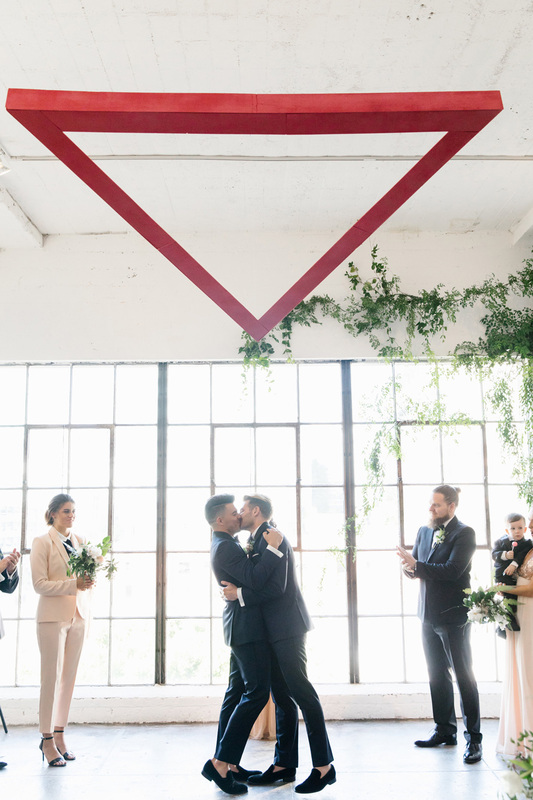 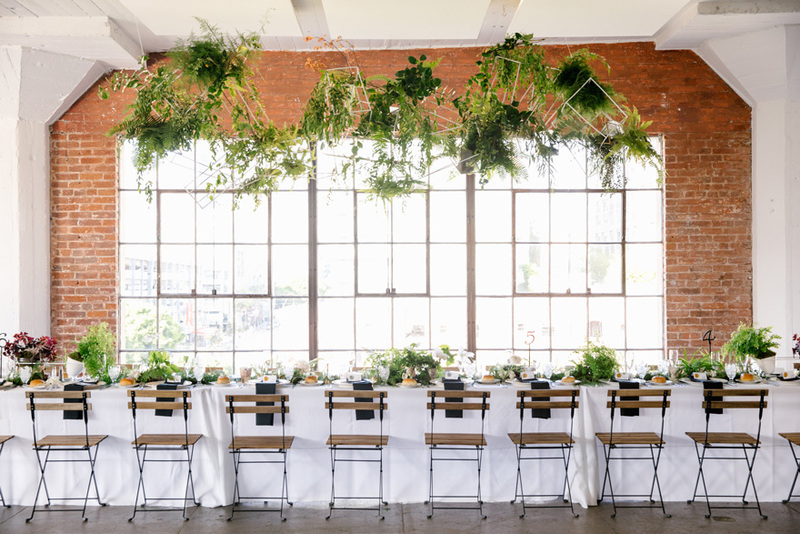 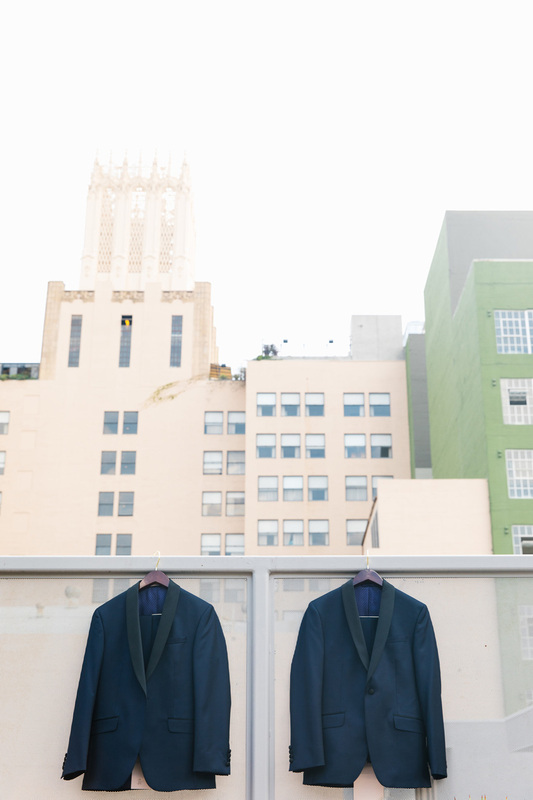 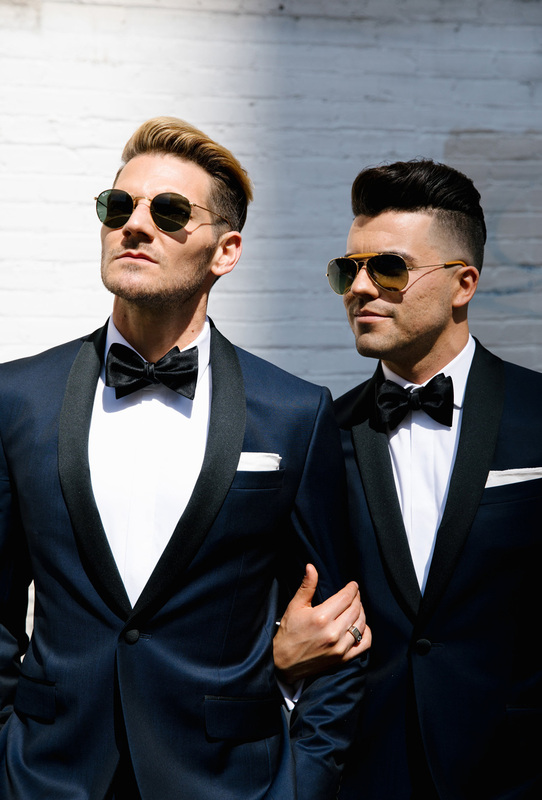 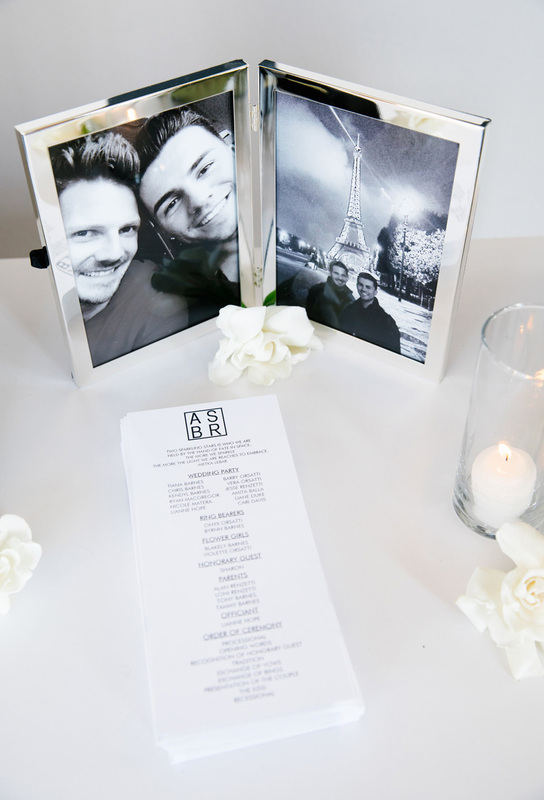 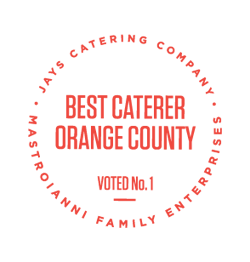 On March 26th of this year, Sean and Anthony said their ‘I do’s’ at Hudson Loft. 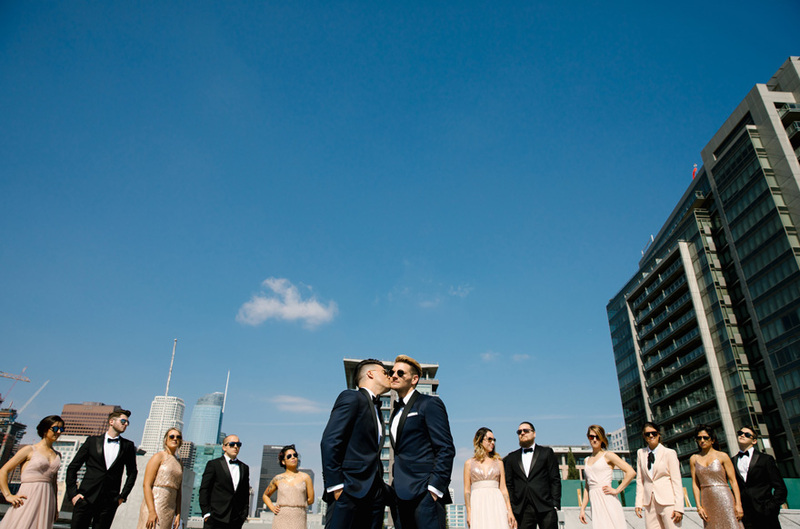 Their closest family and friends shared this beautiful day with them in Los Angeles! 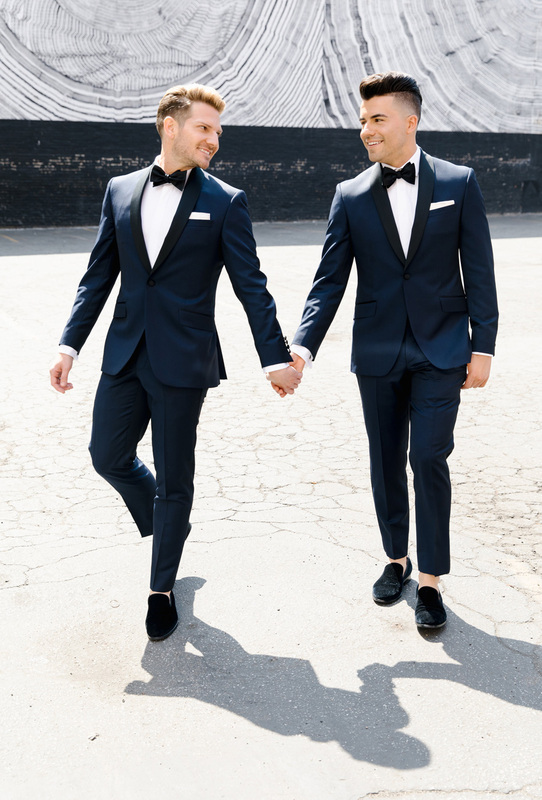 Sean and Anthony planned to hold their wedding in Big Sur, however due to massive flooding they were forced to relocate. 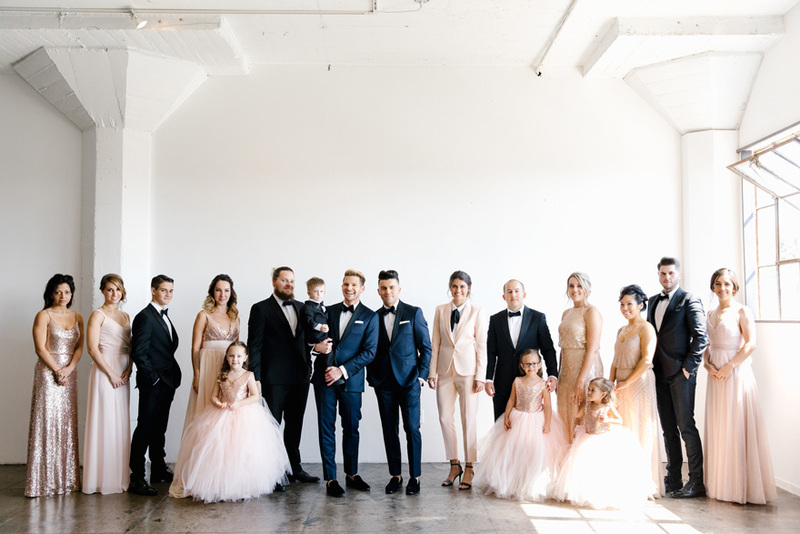 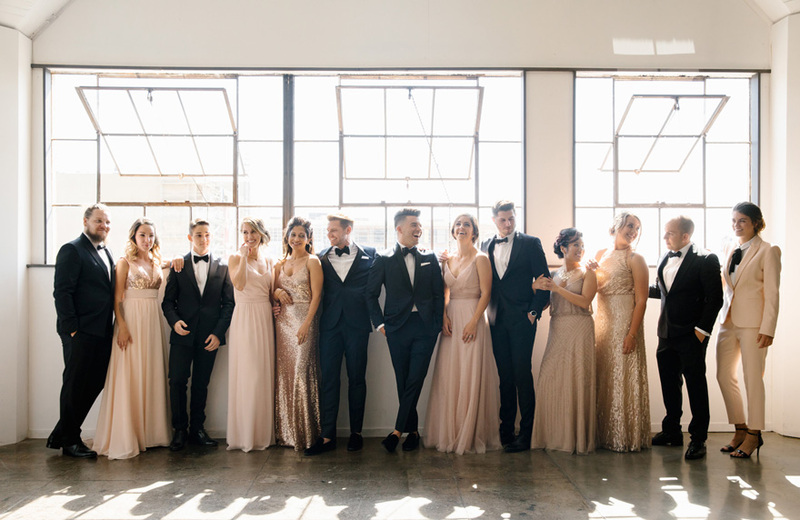 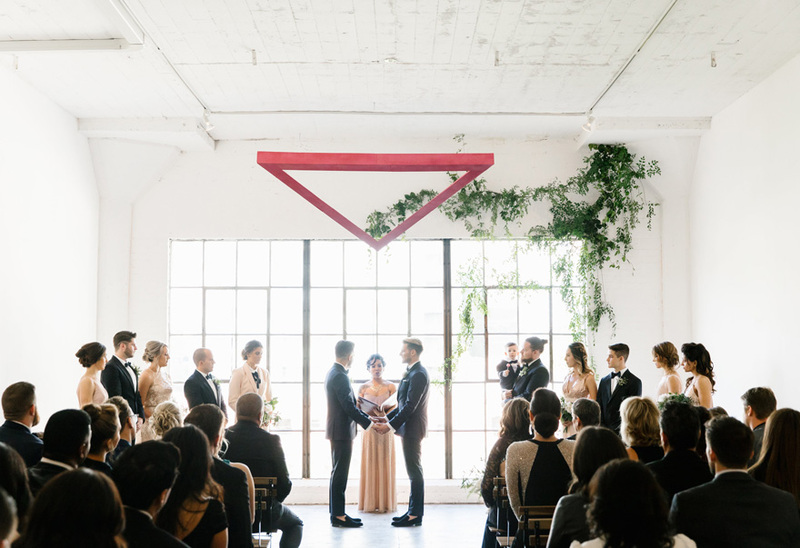 They pulled together this beautiful wedding (with a ton of help from Round Town Events) in just 6 weeks! 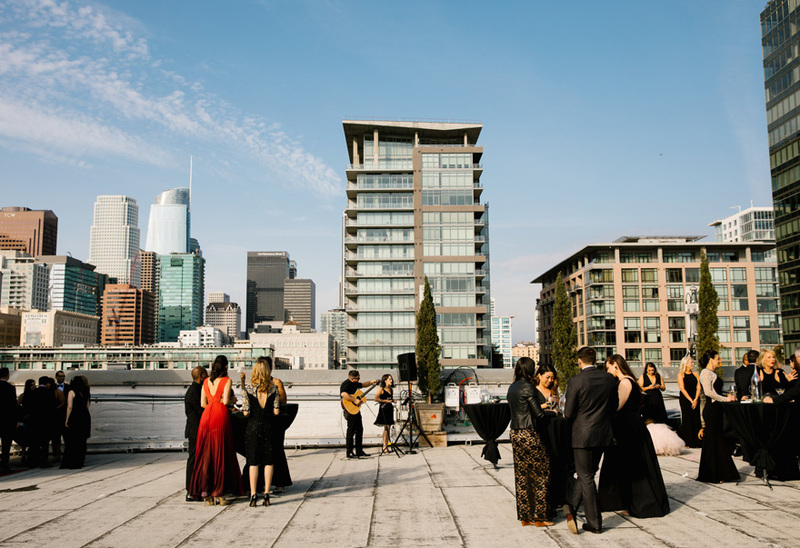 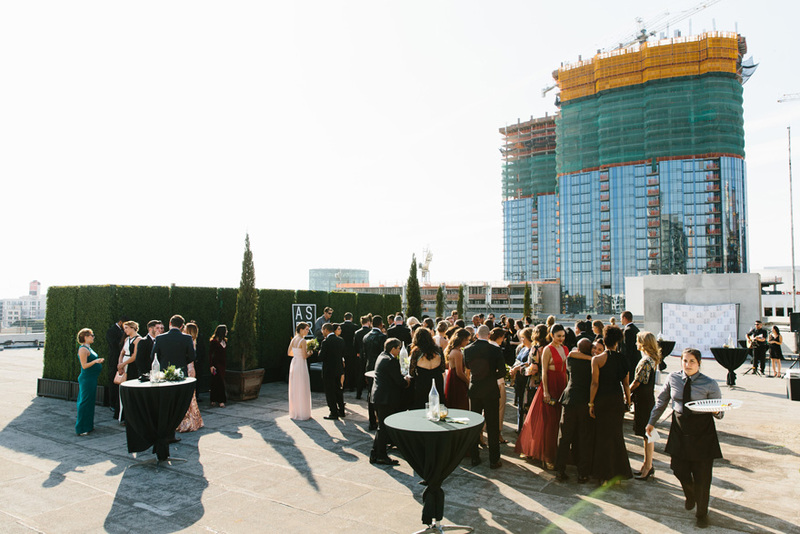 Guests enjoyed cocktails and appetizes after the ceremony on the rooftop, including our Mini Beef Wellingtons with Béarnaise Sauce and Lemon Parmesan Artichoke Hearts. 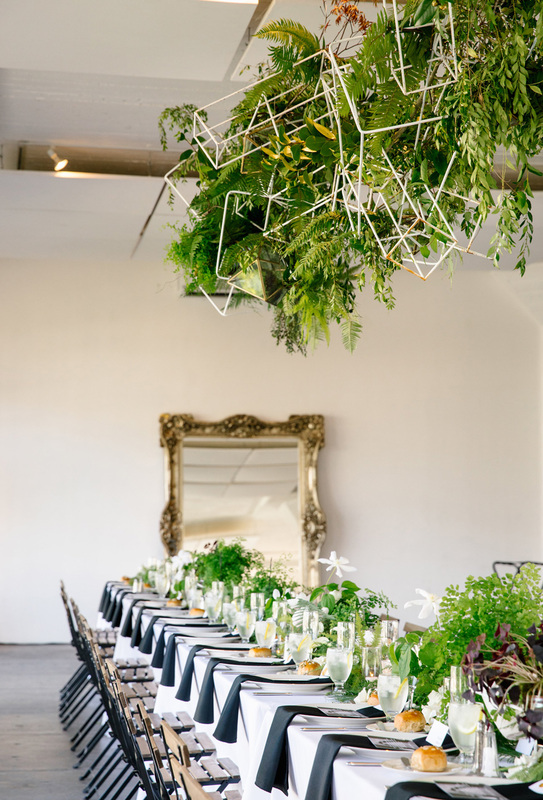 The reception followed, where guests feasted on our Grilled Panzanella Salad with Heirloom Tomatoes, Pine Nuts, Feta Cheese, Smoky Brioche, & Oregano Vinaigrette, Filet Mignon and Zucchini Lime Chicken. 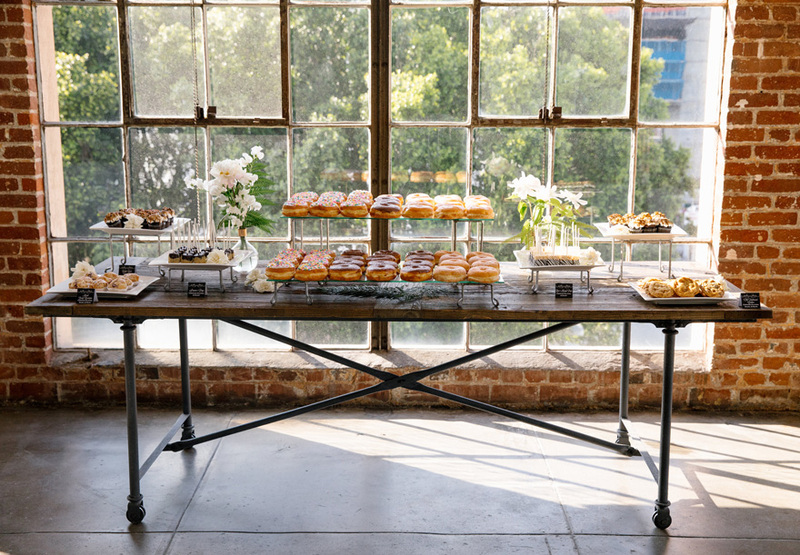 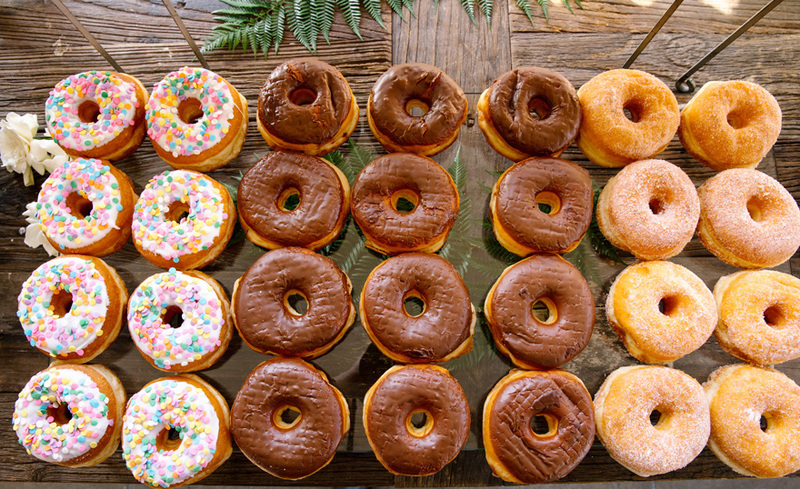 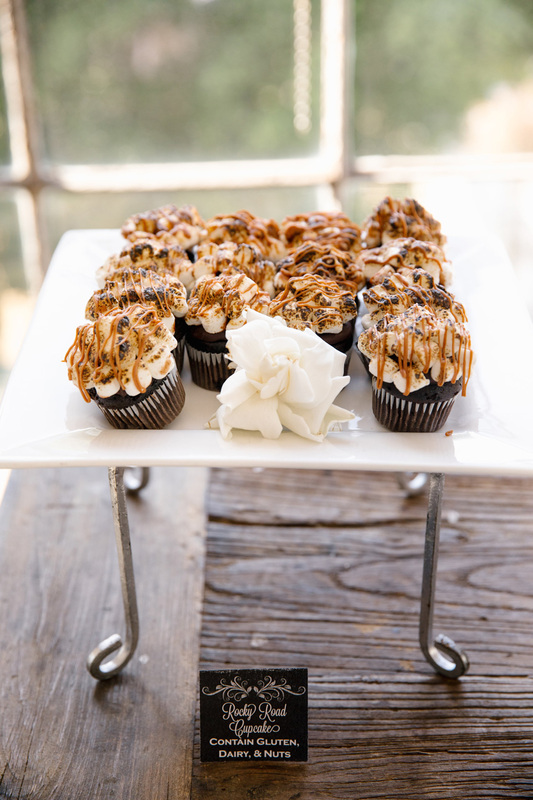 For dessert, Sean and Anthony served our All American Dessert Station, plus our Grand Coffee Bar with Fresh Donuts!